Uptown's Clarendon Park Sunday night. 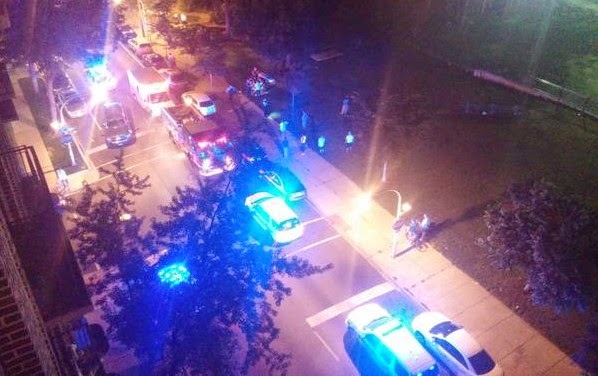 A 23-year-old Conservative Vice Lord gang member was shot on a sidewalk outside of Uptown's Clarendon Park Sunday night. He is in good condition with a single gunshot wound to his left shoulder. The shooting comes almost 24 hours after shots were fired inside Clarendon Park, unleashing a wave of mayhem on the streets of Uptown. In Sunday's shooting, police in the area reported hearing "at least six shots" at 9:13PM and found the victim moments later at 4555 N. Clarendon. Witnesses say a man jumped out of a black SUV, got between two parked vehicles, shot the victim, then loaded back into the SUV and escaped westbound on Wilson Avenue. Officers reported finding two casings on the scene. The victim, who lives in Chicago's Irving Park neighborhood, was charges last summer with a weapons violation. 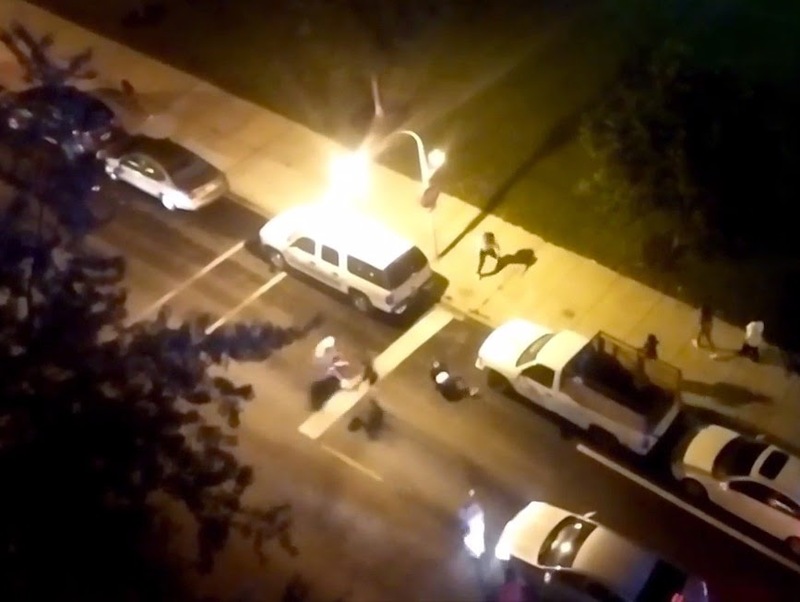 No one was shot in Saturday night's incident, but a wave of street fights and gunshots spread through neighboring streets for several hours. Video showing one of the earliest street fights has wound up on YouTube. Coincidentally, the fight took place at almost exactly the same spot where tonight's victim was shot. Sunday's shooting is recorded as an aggravated battery with a handgun in CPD case HX401076.